Many men don’t even know where their prostate is, let alone how to spell it! How often have we heard him refer to it as a “prostrate”….haha. Call it what you like but all men have this small gland, about the size of a walnut, that sits under the bladder by the urethra. If it gets swollen it can act like a clamp, making it harder to urinate. This is fairly common in men over the age of 60. It’s either caused by inflammation of the prostate or, more commonly, benign prostatic hyperplasia or BPH – meaning the prostate is simply enlarged. It’s comforting to know that there is no clear link between BPH and prostatic cancer, other than difficulty urinating. When it comes to prostatic cancer, just as with breast cancer, prevention is key. So how can you keep your prostate healthy? Like the rest of your body, the health of this gland depends mostly on what you eat. Numerous studies have shown that the strongest dietary risk factor for prostatic cancer is dairy consumption and this has been attributed to a hormone in milk called Insulin-like Growth Factor (IGF). So a good place for men to start would be to limit milk intake. Unless of course you’re milking healthy, free-ranging, hormone and antibiotic-free Daisy in your own back yard. Secondly, eat more fruit and vegetables because according to enough studies, the higher your consumption the lower your risk. Particularly beneficial are tomatoes (preferably cooked in a healthy oil), rich in lycopene known to hinder the growth of prostate cancer cells. Kale, cabbage, broccoli, cauliflower, onions and garlic are also profoundly cancer protective. Zinc is probably the most important here. The prostate gland contains and uses more zinc than any other tissue – 4 to 80 times more, depending on tissue comparisons. Zinc inhibits 5-alpha-reductase, an enzyme which turns testosterone into DHT, the form of testosterone that promotes prostate cancer. Zinc also inhibits the secretion of some estrogens (also linked to prostate issues). Without adequate zinc, sperm production decreases, and the general health of the prostate falters. Clinical evidence indicates that cancerous prostate cells contain less zinc than healthy prostate cells. 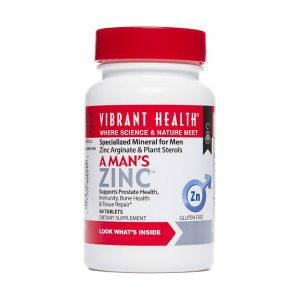 I highly recommend Vibrant Health’s A Man’s Zinc. Omega-3 fish oil comes second on my list. As we already know, fish oil is high in the omega-3 fatty acids that help combat inflammation and inflammation is a factor in many cancers. Fish oil has also been shown to retard the growth of prostate cancer. The lower the rate of proliferation, the less the chances that the cancer will spread outside the prostate, where it is much harder to treat. Supplementing with Omega-3 from purified fish oils (EPA and DHA) would be a good idea if you’re suffering from BPH or prostatitis or even just as a cancer preventative measure. 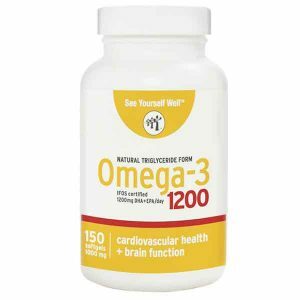 Be sure to only take the purest fish oils you can find, limiting yourself to those been awarded the International Fish Oil Standards 5 Star rating such as our See Yourself Well brand. You can’t get purer than that! Then I also recommend turmeric to keep inflammation and hence cancer at bay. So either the Vibrant Health Turmeric 46X or the Maximised Turmeric which is double the strength of the former. According to a study, men with higher levels of vitamin D (typically obtained through sunshine exposure) in their blood were half as likely to develop aggressive forms of prostate cancer than those with lower amounts. 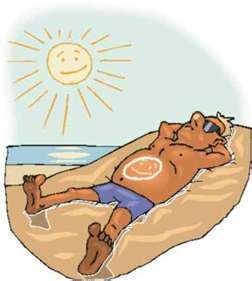 And best news of all – 15 minutes a day in the sun costs you nothing! The most commonly used screening test for prostate health is a blood test measuring PSA (prostate-specific antigen). High levels of PSA may be an early indicator of prostate cancer. However, it also gives many false positives and more importantly men need to know that their PSA levels can be raised in a male with BPH or if the gentleman has any inflammation anywhere in his body at the time of testing, An above normal reading doesn’t necessarily mean there is a problem. (Never test when there is acute infection or inflammation anywhere in the body – always fix that first before having the PSA blood test!). Men also need to know that there is an increasingly prevalent belief that this test has been wildly oversold and due to aggressive over treatment can cause more harm than benefit in some cases. 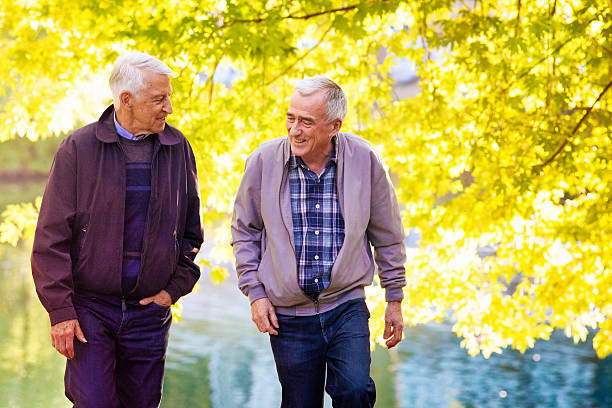 Because prostate cancers are slow growing, many older men might never experience any symptoms of the disease before dying of other causes. Probably the best advice is not to be rushed into any procedure: get opinions from 3 different specialists and only if they all agree should you seriously consider their advice. You know, if one is looking for something and looks long enough, one will eventually find it. Stop constantly being afraid of some disease or other and certainly stop looking for things that are wrong, or not in most cases. This just adds stress to your life which is not good for anyone. The information in this blog post is for educational purposes only and not to be construed as medical advice. It is not meant to diagnose, prescribe, or in any way replace qualified medical supervision. For any medical conditions, consult with your healthcare provider before using any products. Abundant health to you all.